Photography has had an interesting history, first being connected to science, then struggling to be recognized as fine art, and now, with the digital age, the concept of what a photograph is or can be is changing, as are the photographers themselves – what challenges and opportunities does this present within the established tradition of the art museum? At the dawn of photography, the technical experiments of pioneers including Joseph Niépce and Louis Daguerre in France, and William Henry Fox Talbot in England, established the medium’s basis in science; and photography soon became an alchemy of wonder to the mid-Victorian age. Its early connection to science introduced the concept of the photograph as truth, a direct recording of the reality found in front of the photographer’s lens. I present these historical examples to argue the point that while the challenges brought by the digital age are expansive and complex, photography has always been a highly experimental medium, ambiguous and fluid in nature, often moving between classifications. Any artist-photographer working today either consciously or subconsciously is working within the historical context of such forebears discussed above. Once we have dismissed a singular view of photographic history, and accepted that a straightforward linear narrative from science to art with clear ideological beginnings and ends is not appropriate, we are free to explore the role of photography today. Considering the traditions of the art museum, what conceptual challenges does the digital age bring to a museum’s practice in terms of its understanding and exhibition of photography? As photography moves further away from film and paper-based techniques, and a born digital image becomes increasingly screen-based, and adaptable in how it can be merged with other mediums, our past understanding of this term needs re-evaluating. The digital age can necessitate that the art museum reconsider its traditional object-based view. It must be adaptable in acknowledging that contemporary photography has further blurred distinctions between genres, the still and moving image especially. Many photographic artists working today are currently exploring the hybrid found when the mediums of photography, painting, computer technologies, and film meet. The work of Susan Sloan, whose motion capture portraits were exhibited at the Photographers Gallery in 2012, is an example of this development. From a curatorial standpoint it is not yet proven how a digital way of working will affect the long-term artistic legacy left behind by contemporary artist-photographers. One can envisage a not too distant future without the physical documentation of contact sheets, test prints and working notes to help trace an artist’s working decisions, and the evolution of their visual practice. Current research projects such as the Photographers Archive & Legacy Project at Plymouth University are immensely valuable. This exploration of the many personal, practical and cultural issues surrounding the archiving of work by digital and analogue contemporary photographers will influence future best practice. Within museum history, it is well known that British museums were slow to accept photography as an art form, especially considering the pioneering work during the twentieth century by American scholars and museums such as Edward Steichen, and John Szarkowski at Moma. For example, it wasn’t until 1972 that the Department of Photography was formally established at the National Portrait Gallery following the success of landmark exhibition Beaton Portraits (1968), and Tate’s inaugural Curator of Photography was famously not appointed until 2009. It is vital that art museums today do not make similar mistakes with the possibilities that the digital age brings to the creation and exhibition of photographic art, and its potential for audience engagement. Our appreciation of a photograph’s potency still lies with the central concerns of authorial creativity and intent, representation of subject, and the depth of connection felt by a viewer. However the digital age forces us more than ever before to look beyond aesthetics alone and explore wider complex issues surrounding how original and future context, manipulation, and distribution affects photography’s meaning. Despite the ongoing fluidity of contemporary photography, it is precisely its malleable nature that allows for incredibly deep opportunities for engagement within the art museum, especially with youth participation projects. For a new generation, the immediacy of photography as a means of emotional and everyday expression is second nature. This provides the potential for art museums to employ a more mediatory role and use photography to ask much wider societal questions. The long-term cultural meaning of photography in the digital age remains in a state of flux. Consequently, vernacular photography and its related ephemeras have attracted much more status in recent years as a new and under-researched area of scholarship; a very positive consequence. Most recently, one has regularly witnessed a negative argument that the digital age has brought an unsurpassed ‘flood’ of images distributed through news, social media, and popular culture that has harmed art photography. This argument is alarmist and too simplistic, especially remembering influential historical parallels which this argument inspires. The craze for collectable cartes de visite during the 1860s was a vibrant industry, which democratized access to photography away from the rich elite to all levels of society. ‘Cartomania’ pushed the medium of photography forwards, encompassing the work of well-known studios such as J.E. Mayall and Camille Silvy (who earned some £400 per 10,000 copies sold) as well as wholesale retailers such as London firm Marion & Co which sold hundreds of millions of cartes a year, a staggering figure for the time. The landscape of contemporary photography is changing so continuously it is impossible to draw permanent conclusions within the limits of this article. We are witnessing a multifaceted story of photography; one that is ambiguous in definition, purpose and future. The art museum must engage in ongoing debates surrounding concepts of authorship, and re-examine photography’s role including its long-term artistic, cultural and social value. This can only be a healthy, positive and exciting consequence of the challenges brought forwards by the digital age. 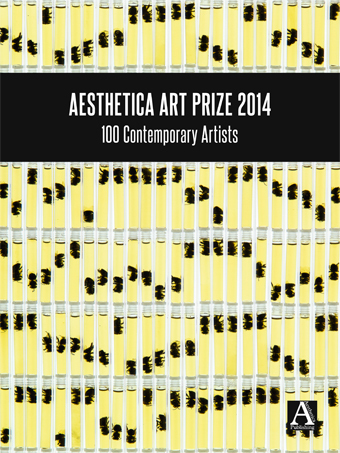 This article was originally written for the Aesthetica Art Prize anthology (2014). This entry was posted in Photography, Recent Writing and tagged Art Museum, Camille Silvy, Contemporary, Digital, Henry Peach Robinson, Hippolyte Bayard, Photography, Susan Sloan.